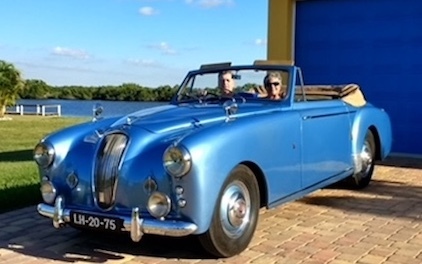 BCCSWF encourages all British Car lovers, owners or not, to attend our Monthly Business Meeting held on the 2nd Tuesday at Famous Dave's Barbeque, 12148 S Cleveland Avenue (US 41), Fort Myers, FL 33907. Social hour and dinner are from 5:30 p.m. to 7:00 p.m. and the meeting runs from 7 p.m. to 8 p.m. (at the latest). A Monthly Breakfast Run is held at Mimi's, Bell Tower Shops, 5070 Bell Tower Shop Avenue, Fort Myers, FL 33907 (Daniels and US 41) from 9:00 a.m. to 10:30 a.m. on the last Saturday of each month. Attendees are encouraged to bring their British or other interesting car for display. Members and non-members are welcomed. The BCCSWF is an organization of car people who own or are interested in British Marques. The camaraderie of British car owners is special. It is understood that a little grease under the fingernails is an essential part of British car ownership as well as the spirit of adventure and hopefulness that the car will complete the journey. The BCCSWF welcomes members from throughout Southwest Florida including, Marco Island, Naples, Bonita, Estero, Ft Myers, Buckingham, Cape Coral, Punta Gorda, Port Charlotte and all points in between as well as members of marque specific clubs.